Join in the fun at the 2nd annual Toronto Beaches Easter Egg Hunt in Kew Gardens! 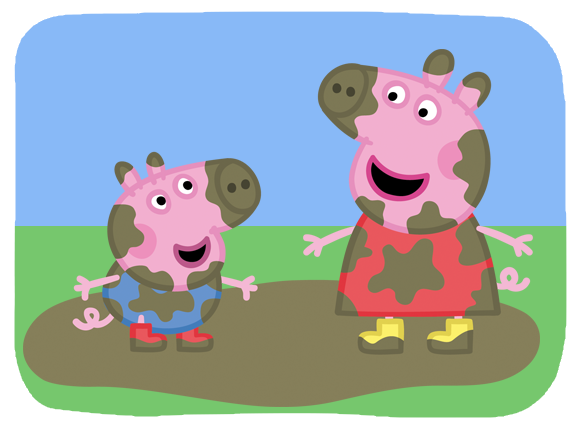 The hunt is on from 11am-2pm, and bring your cameras for an oinktastic photo with Peppa! Come on over to Place Ste-Foy shopping center from 11am-3pm to meet Peppa Pig! Don't forget to bring your cameras - it's going to be an oinktastic day! Take your little ones out to the ball game! Come out and meet Peppa and George on May 5th as the Buffalo Bisons take on Lehigh Valley at 1:05pm. Come and meet Peppa Pig at the Shenandoah Apple Blossom Festival's New Horizons Kids FunDay in the Park. Come out and meet Peppa from 12-4pm - and don't forget to bring your camera!